Florida State University Philosophy Professor John Schwenkler has received a prestigious fellowship to support cross-disciplinary study in psychology beginning Fall 2018. The Academic Cross-Training Fellowship, awarded by the John Templeton Foundation, is designed for recently tenured philosophers and theologians to expand their knowledge base in areas such as biology or physics. The award provides up to $217,400 of support over three consecutive years. Schwenkler, an associate professor of philosophy, will spend three years taking graduate coursework and conducting laboratory research in psychology and neuroscience. Following completion of the program, he plans to incorporate what he learns about the human mind into his philosophical research and make direct contributions to these areas of cross-disciplinary study. “I look forward to being in a position to publish in the fields of psychology and neuroscience, dialogue more fruitfully with researchers in those fields and draw more widely on experimental data and scientific theories in my philosophical work,” he said. Since taking his first philosophy course at Catholic University of America in 1999, Schwenkler has been hooked on the subject. Schwenkler received his doctorate in philosophy from the University of California, Berkeley in 2009. He spent three years as an assistant professor at Mount St. Mary’s before arriving at FSU in 2013. Piers Rawling, chair of the FSU Department of Philosophy, said he was delighted to see Schwenkler receive this very competitive fellowship. 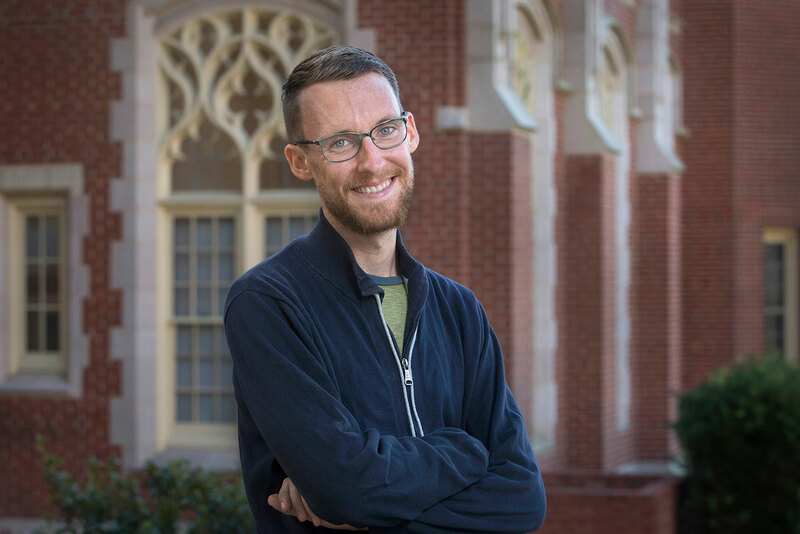 “It’s a well-deserved honor for one of the top young scholars working at the interface of philosophy and psychology, and it will enable him to further his interdisciplinary research,” Rawling said. The John Templeton Foundation, established in 1987, serves as a philanthropic catalyst for discoveries relating to what scientists and philosophers call the “big questions” of human purpose and reality. It supports work at the world’s top universities in fields such as theoretical physics, cosmology, evolutionary biology, cognitive science and social science. “Not only will my research and studies improve my grasp of core concepts and central findings in psychology and neuroscience, but it also will help me to build closer relationships with faculty at FSU who are doing experimental research with philosophical significance,” Schwenkler said.